Along the years, AZ IMPEX has developed a first level expertise in the sale, rental and maintenance of handling machinery and equipment. We represent here in Rwanda, the Yale brand, a global leader in the manufacture of forklifts, trucks and other machinery for handling. 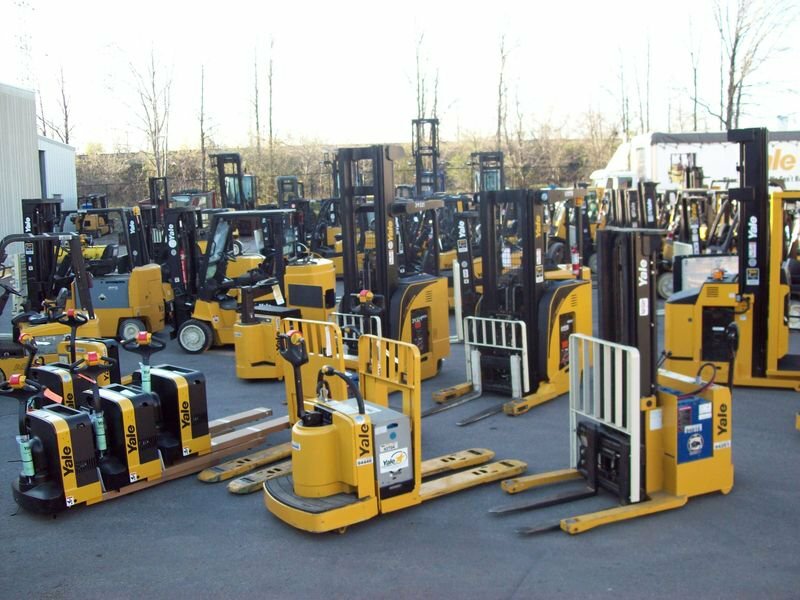 Yale Materials Handling is one of the oldest manufacturers of forklifts in the world. The brand has existed for over 137 years! This experience has allowed us to know our clients and help them solve their problems handling. Day after day, we aim to continue to improve ourselves, to provide you with the solutions you need, how you need and when you need it. • YALE’s employees and suppliers around the world are working to face new challenges and to help each of our clients to work in a more serene way. • Our dealers have all been selected to provide reactive and consistent services worldwide. • Our customers are our most important partners. When working with Yale and with our dealers, you can be sure that your business has the best handling solution and the best service. • Yale has a history and an unparalleled expertise in the design and manufacturing of handling equipment & machinery, whether it is about very specific warehouse equipment or conventional counterweight forklift models, electrical, diesel, liquefied petroleum gas, natural gas, and now hydrogen fuel cell. • Our commitment to quality is unwavering. Our worldwide production sites are ISO certified and use methods of design, manufacturing and testing at the forefront of technology. • We never rest on our laurels ... We are investing more than $ 43 million per year in research and development in order to solve the new arising problems of our customers and remain among the greats of this business. • We know that handling equipment is not our clients core business, but a means to achieve their goals...A way to help you manage your business more efficiently and profitably. • All our handling equipment have been designed to improve the productivity: finished goods, components and raw materials are handled in the most efficient manner. They were also designed to help operators to work with comfort and security. • We believe that maintenance is just as important as the forklifts themselves. That’s why we offer spare parts, maintenance contract formulas, financing and fleet management designed to maximize effective working time and minimize constraints related to handling operations.